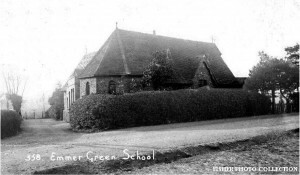 The first proper school in Emmer Green was built from brick and flint on the corner of Grove Road and School Lane in October 1877. Its name changed over the years, but the two-room school was finally closed in 1933 due to lack of support. 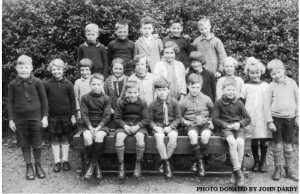 Children from Emmer Green then had to attend schools in Caversham. In the 1950s, the current Emmer Green Primary School was built in Grove Road. The building was extended in the 1980s, and had temporary classrooms added in the 1990s and 2010-11 to cope with demand for places.